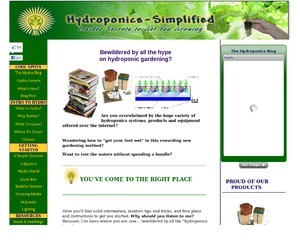 The rapid cropping systems that have evolved from simple PVC piping are truly unique and exceptional hydroponic gardens. Extremely cost effective and durable, they are the leading means of high yield rapid cropping using hydroponics. 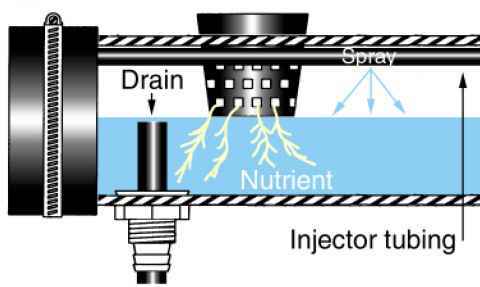 The systems operate by circulating a deep flow of nutrient solution within the PVC pipes whereby the plants are suspended in baskets which protrude into the PVC pipes at specific spacing (depending upon crop type) and the roots grow down into the circulating nutrient below. Either four or six inch diameter PVC pipe can be used depending upon crop type and budgetary constraints. 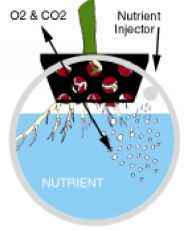 The only fundamental difference between four and six inch piped systems is the nutrient injection technique. Since the four inch systems tend to be shorter in overall length, they employ a single source injector at the end opposite the drain fitting. 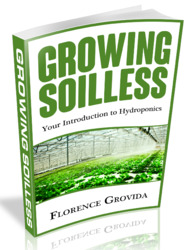 This is to ensure that the nutrient solution within the grow pipes is fully circulated and does not stagnate. The six inch piped systems generally employ an internal length of piping (usually 1/2 to 3/4" dia.) that runs the entire length of the pipe (grow chambers). This additional piece of pipe in attached on the inside of the growth chambers and is pictured in such a fashion that at each occurrence of a grow site a stream of fresh nutrient sprays down into the circulating flow to create an extremely oxygenated nutrient solution. Both systems are drained by a standard sink or "thru hull" type fitting (a different size fitting applies to either the four or six inch system) and are fed by means of an external pump. How to make vertical aeroponic system?